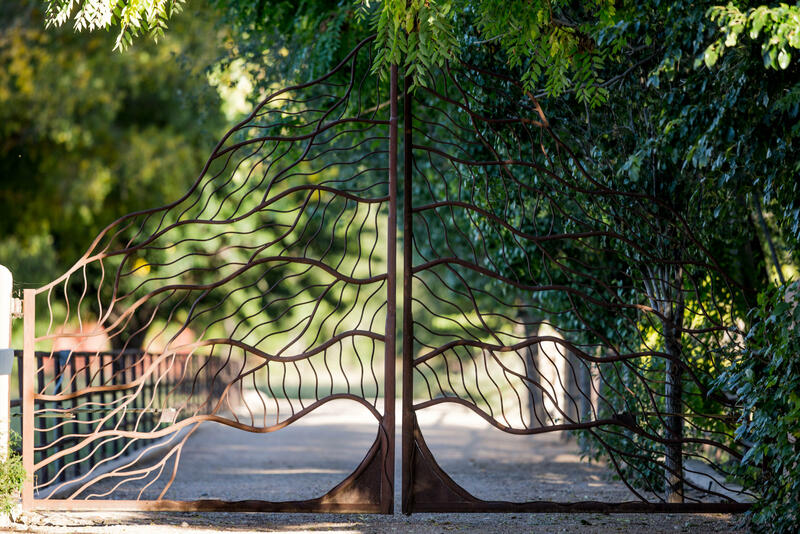 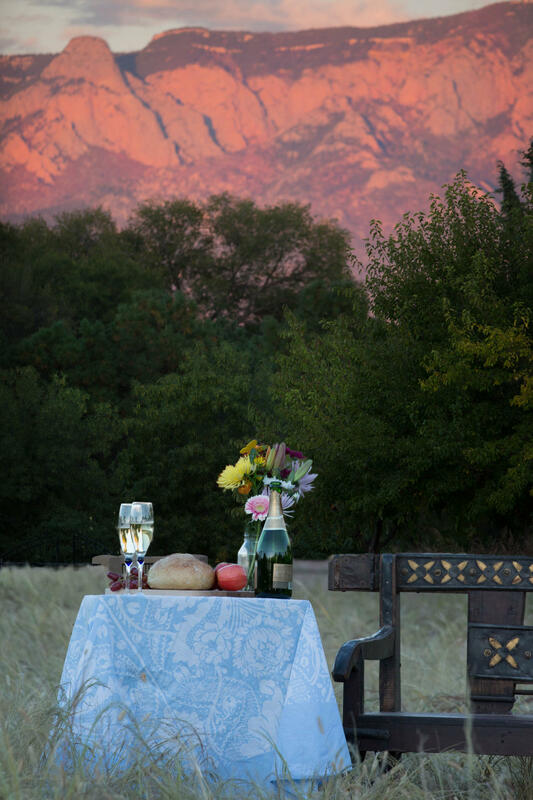 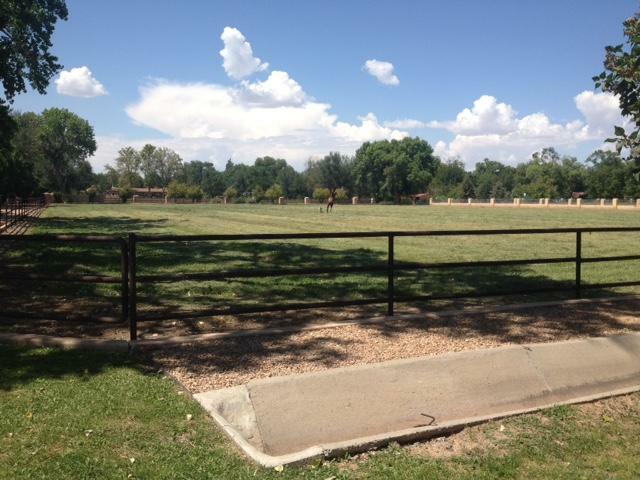 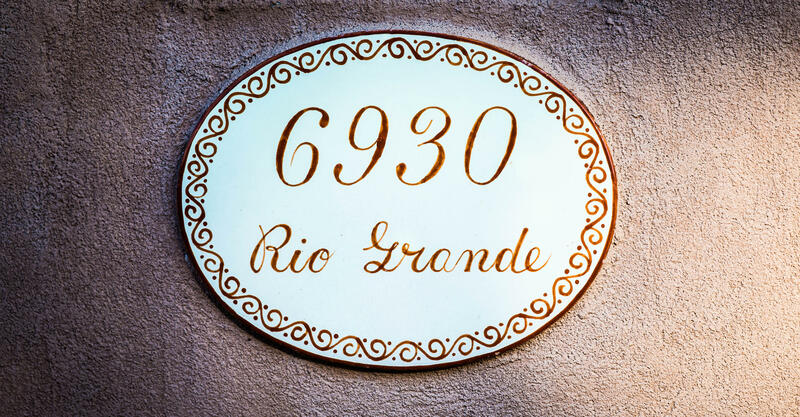 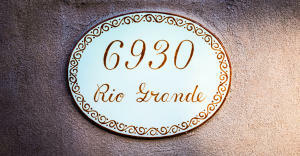 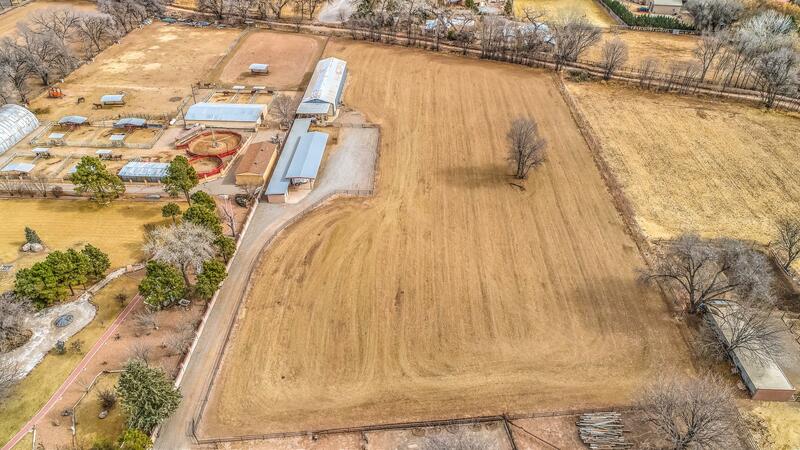 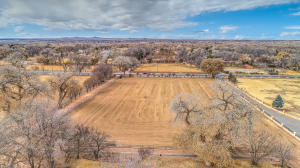 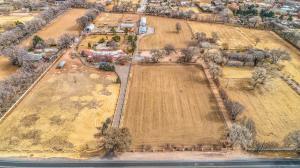 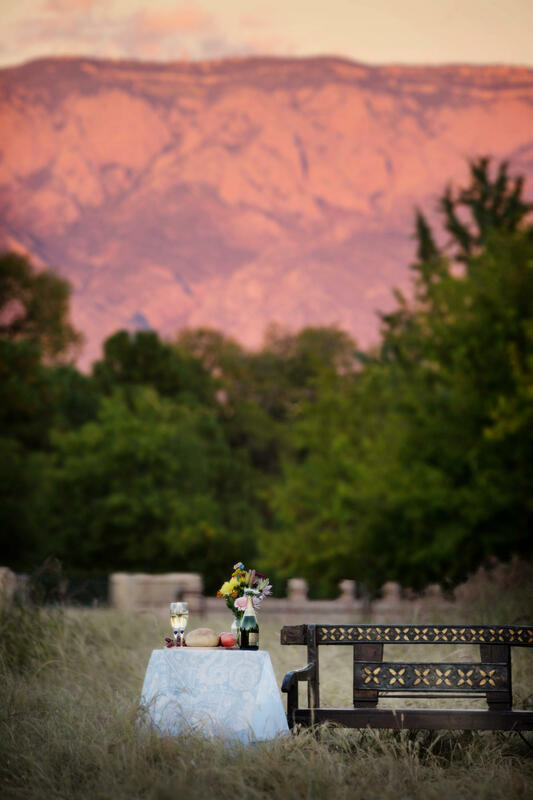 Remarkable Rio Grande Location in the heart of Los Ranchos. 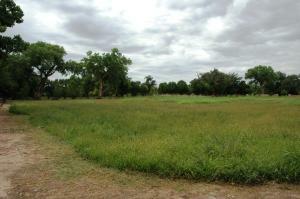 Build your home here on this estate quality parcel. 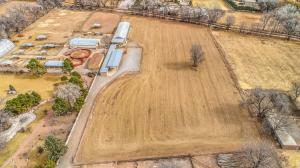 6.92 acres completely pipe fenced for easy care. Two laser-leveled pastures currently planted in alfalfa provide a beautiful background for your livestock! 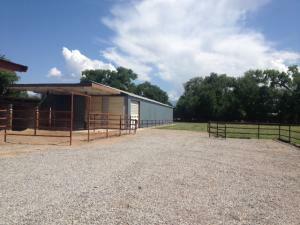 Existing storage barn with concrete flooring/overhead door provide space for the car enthusiast, or storage. 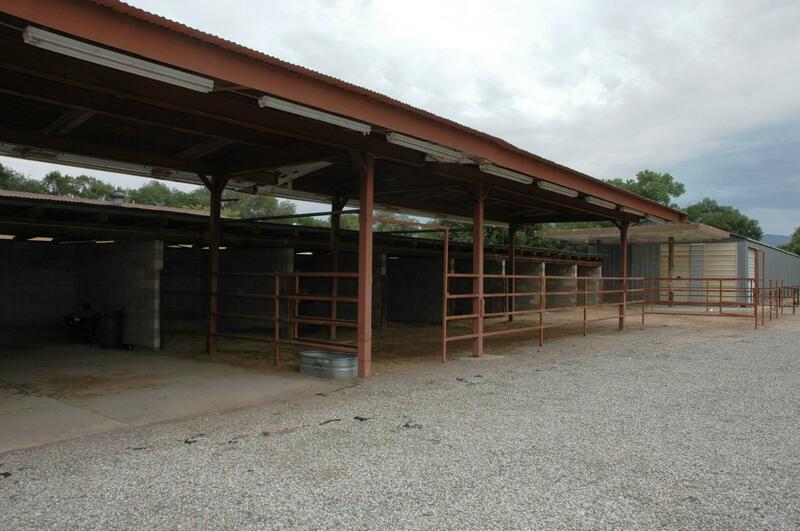 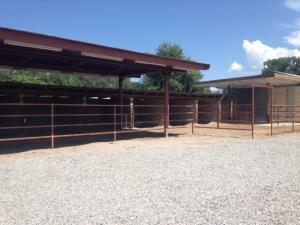 Great space for your horses, 10 block stalls with turn-out. 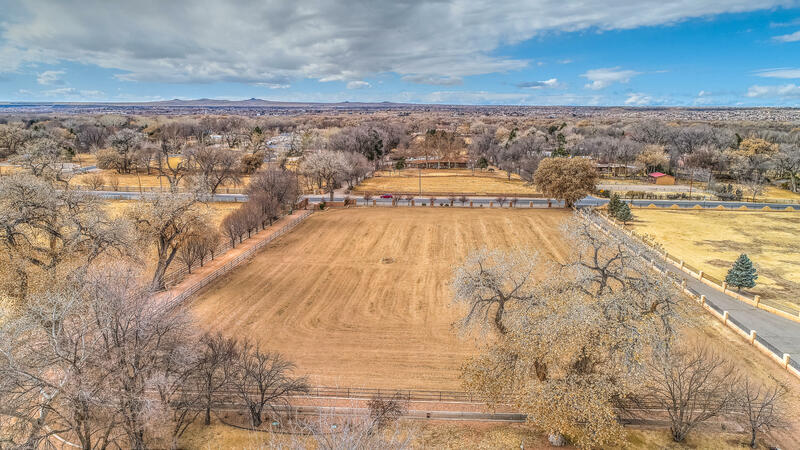 Huge trees and mature landscaping grace the bosque parcel. 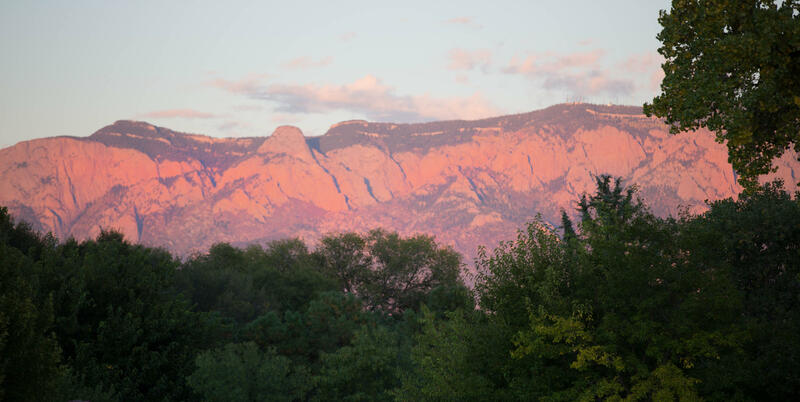 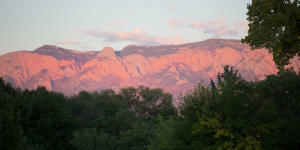 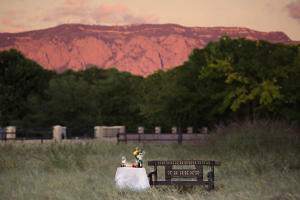 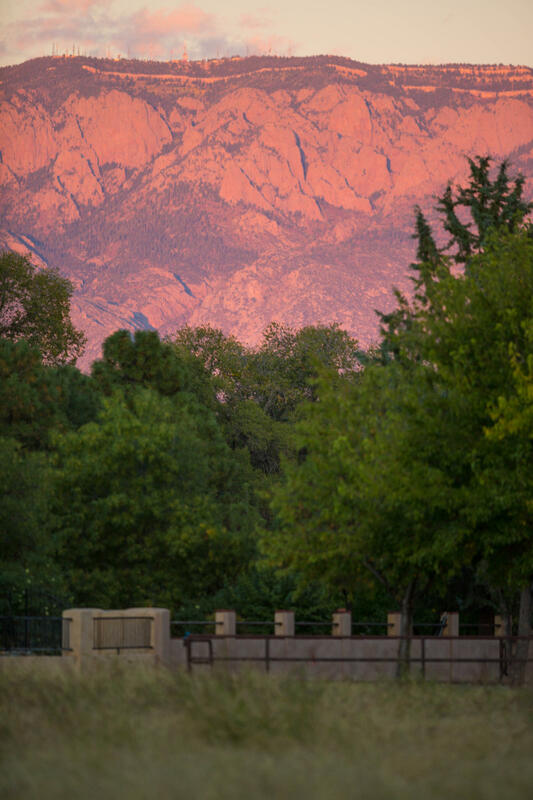 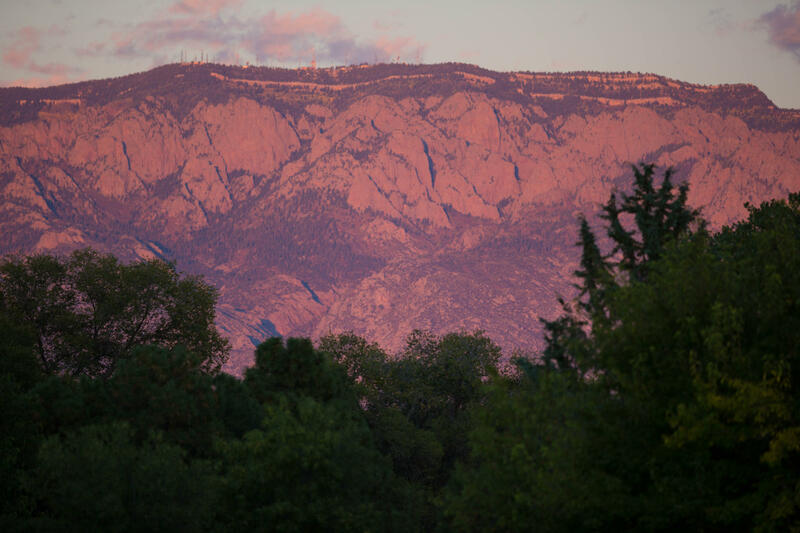 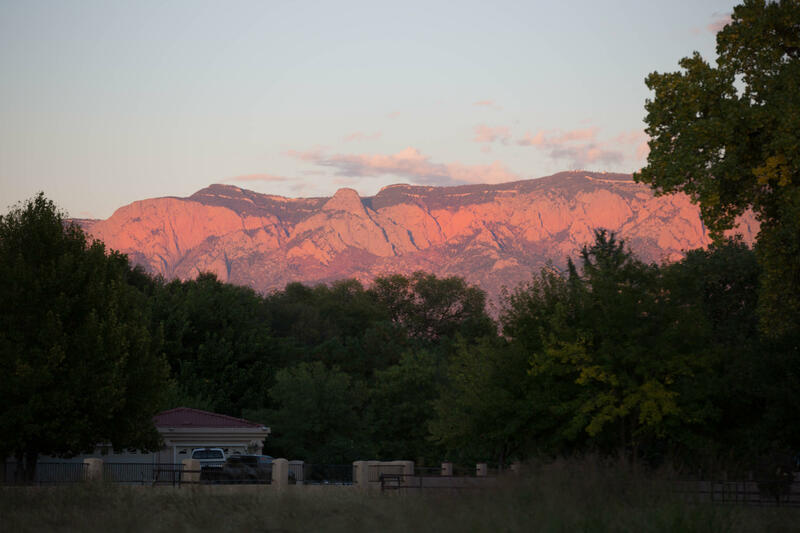 Views of the Sandias and sunsets!